In Arizona, our temperatures have already hit 100! 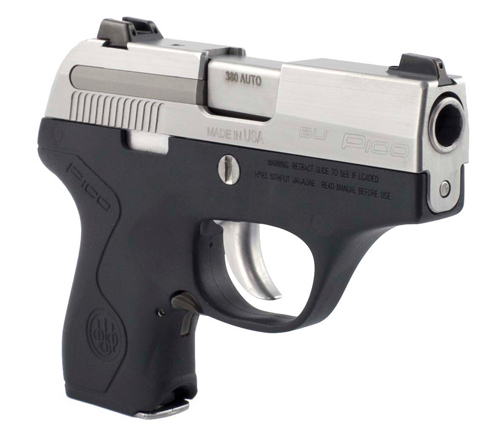 The hot weather of summer can make concealed carry quite a challenge. For many of you, you also have humidity to deal with! Unfortunately, for many women this results in leaving the gun at home. Our need to protect ourselves does not go down in the summer, we must find ways to carry in every season. I wish I had the one true simple fix for you, but I don't. Here however are some things that can help you better and more comfortably conceal as the temperatures increase and your clothing decreases!! Remember though, there are times, as an armed woman, you will have to make some adjustments and sacrifices to accomplish carrying effectively and safely all of the time. There is no perfect solution and the bottom line may be you must make some changes. The only other option is to not carry, likely not what you want. Thankfully, light, loose and whispy doesn't ever go out of style. 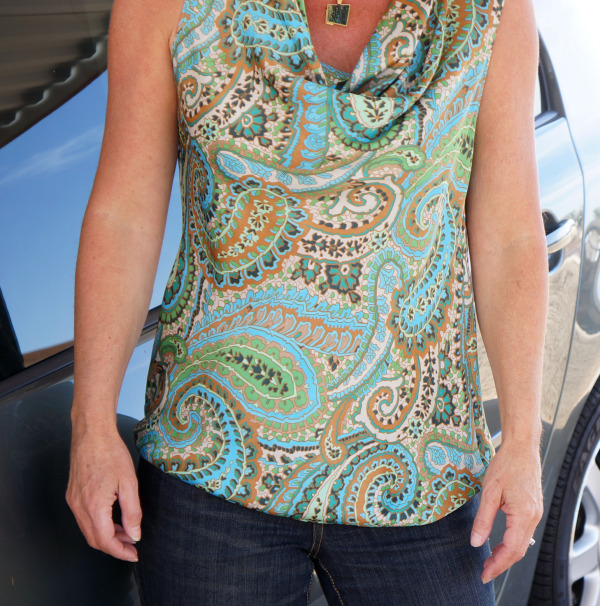 Looser, lighter clothing is not only more comfortable, it is cooler too as it allows the air to circulate and keep things cool! Wear a long cotton shirt with your summer shorts/skirts to easily conceal your in the waist or on the belt holstered gun. 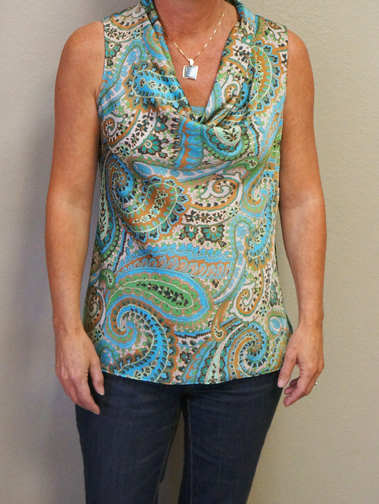 Wear patterned shirts and dresses, the pattern helps to helps to minimize any "bulge". 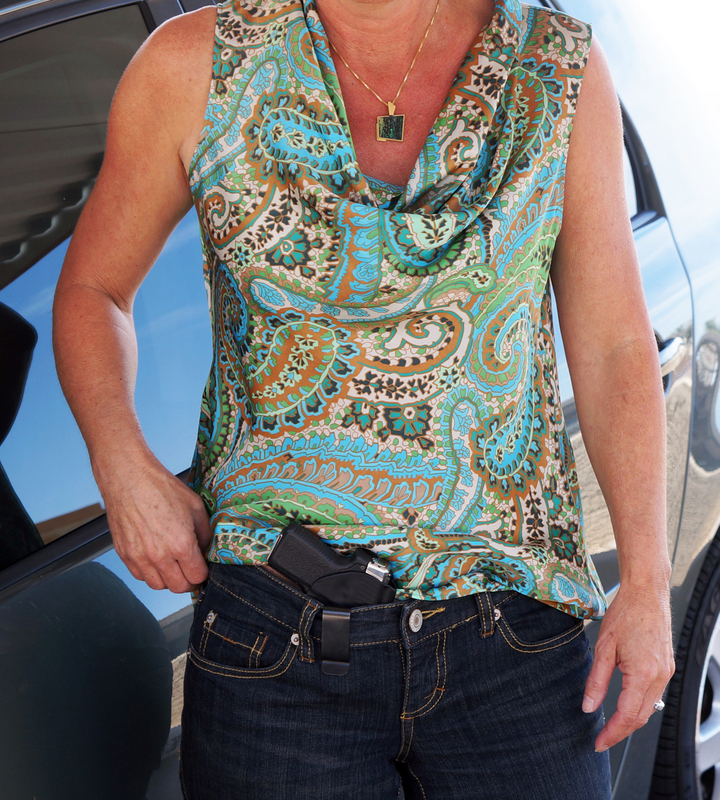 The Betty is a great in the pants holster in any season. Its minimal design means less stuff in your pants. The Magnetic is a very popular holster for the simple reason it requires no belt or heavy waist band to secure itself to the waistband. If wearing summer dresses, the bra holsters (mentioned above) are a good bet along with the Pistol Wear Under arm and the Ultra Under arm, both made with great breathable fabrics and are another great choice. Summer weight pants, shorts and skirts means lighter and weaker waistbands which can make on the waist or in the pants carry very difficult. Try a holster that isn't dependent on the waistband such as the Pistol Pouch which "buries" the firearm down on the pelvic area. 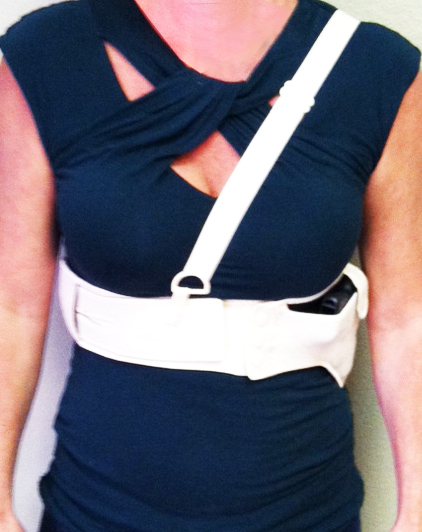 This is a cotton holster with a thin band that is worn around your hips. Your belly band worn low and on your hips can also be a solution, but tend to be a bit warmer because of the elastic. Both bra holsters, the Flashbang and the Marilyn are also good choices. The Pistol Wear Under Arm and Ultra Under Arm holsters also are great "deep" choices. Keep in mind however that going deeper brings with it some challenges, mainly accessing your gun quickly and safely. Practice these draws regularly with your unloaded gun. Carrying your firearm off body should be your last choice. 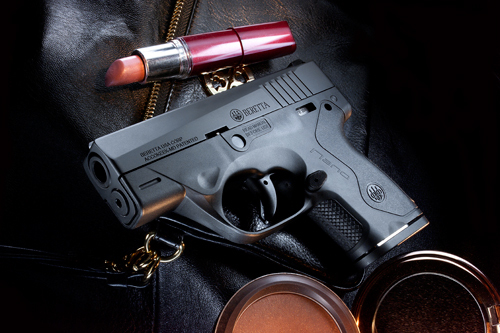 Carrying in a concealed carry purse introduces much greater levels of risk and provides access to your gun that no one should have. The utmost care MUST be taken when doing so. Although not the ideal solution, as we don't want to give up firepower if we don't have to. Carrying a smaller gun in the summer months is an option and is better than not carrying any gun at all. if you can afford a second gun, the very small and compact semi-automatics and lightweight revolvers are very easy to hide. Some are now so slim that they don't create a bulge, and who needs more of those?? You may want to research the available holsters for these models prior to purchasing to make sure the type of holster you want/need to wear is available for it. One important thing to be aware of is that the smaller, lighter guns will have quite a bit more recoil to contend with. They simply don't have the weight and size necessary to absorb it, so that means your hand an arm do!!! Perhaps you have some things that have worked for you that are not covered here. Please feel free to post them. Stay cool ladies and stay safe!